One of the earliest and most frequent questions we hear from clients is, “What is my bed sore case worth?” This concern is understandable. Most of the people we meet and work with only seek us out after they-or one of their loved ones-has been involved in a traumatic and costly experience. Bed sores are not the exception to this rule. They induce significant amounts of pain and suffering not to mention medical and other expenses. Therefore, lawsuits are a means to an end for victims. They are a chance to recover for what was unjustly taken from them. Thus, the question initially and often arises: how much will they recover from the nursing home or hospital where the bed sore developed or progressed? To be frank, the circumstances of your particular bed sore case will dictate how much you will be compensated, but before discerning various factors that might produce substantial monetary recovery from a negligent medical facility, it is important to illuminate the specific nature of a bed sore case. We will do that now by answering a series of questions. What Kind of a Case is My Bed Sore Lawsuit? Any person, excluding the injured person, whose fault is a proximate cause of the death, bodily injury to person, or physical damage to property for which recovery is sought, regardless of whether that person is the plaintiff’s employer, regardless of whether that person is joined as a party to the action, and regardless of whether that person may have settled with the plaintiff. However, to succeed on a negligence action, plaintiffs must bring more to court than a tortfeasor. They must allege and prove four particular points of law. First, that the tortfeasor owed them a duty such as to avoid harming them. Second, that the tortfeasor broke that duty by, for example, harming them. Third, that the tortfeasor’s breach of duty caused the plaintiffs injuries including medical bills, pain and suffering, death, lost wages, property damage, or other losses. Fourth, that the injury produced specific economic or non-economic damages to the plaintiffs. I Thought that These Were Actions for Medical Malpractice? Because many bed sore situations occur in a medical environment, plaintiffs often fashion their cases as medical malpractice actions. This is a specific hybrid of negligence. It means that the defendants failed to act as other medical providers would have in similar circumstances. Generally, you are alleging that the wrongdoer should be held to a higher standard as a health care practitioner and that that person or entity did not meet that standard. These cases are harder and costlier to prove because you must show what that standard is with expert evidence. Also, the defendants are typically large organizations with lots of resources. However, as you will see below in our case summary and statistics sections, plaintiffs often succeed and recover vast sums of money. What Can I Recover for in My Bed Sore Case? Economic Damages: These are most aptly described as any out-of-pocket expenses that you might experience because of your bed sores. They include things such as medical bills, lost income, and even property damage if relevant. Non-Economic Damages: Sometimes bed sores can lead to a reduced quality of life and this is definitely recoverable in court through such categories as loss of normal life, pain and suffering, and others. Punitive Damages: If the defendant’s actions were particularly wanton or reckless, then a plaintiff might receive punitive damages. These are meant to punish defendants, reward plaintiffs, and deter similar acts in the future. Wrongful Death Damages: If bed sores were a contributing factor in someone’s death, then his or her estate might receive various damages related to the loss of that person, the damages it caused (including funeral expenses), and the pain the decedent experienced prior to passing. It is important to note that while economic damages are basically confined to the total, measurable out of expenses plaintiffs suffered, the other categories of compensation hold no such limits. Juries are afforded great flexibility in awarding recovery and they often give amounts far beyond the value of economic loss. What Explains the Differences in Bed Sore Case Recoveries? Age: How old was the victim? Normally, juries will award victims, or the families of victims, more money if the person had a long life ahead of him or her. Additionally, the aggrieved person may have contributed to others (like his or her family) over that course of time, and that support is definitely recoverable as well and obviously will be larger if he or she was cut short at an early age. Death: Generally, a great predictor of large jury award or settlement size in bed sore cases is death. If you can illustrate that the bed sores caused the death of your loved one, then you might be able to accomplish a lot of compensation. Many of the cases that had large recoveries also included wrongful death claims. Additional Injuries: Plaintiffs received substantial sums of money when they claimed additional injuries coincided with the bed sores they sustained while in the care of their provider. For instance, many plaintiffs demonstrated that they fell while residing at a facility and that either exacerbated or initiated their bed sores. What it inevitably shows as well is the egregious nature of the defendant’s behavior. Neglect: Juries are particularly sensitive to bed sore victims if the facility they were staying at neglected them for a long. This includes instances where the neglect caused the growth of bed sores or their continued development. It essentially serves as a symbol of the defendant’s misconduct. Length of Stay at the Facility: Cases where the defendant was not at the defendant facility long before he or she sustained bed sores had to pay large sums of money to the bed sore victims. This is an easy way for the jury to discern that the defendant unreasonably cared for the plaintiff and they normally responded in kind with significant awards. State of Bed Sores: The condition of the victim’s bed sores upon arrival to the defendant facility is critical in ascertaining potential recovery in court. Compensation tended to be higher for those who had a lack of or early stage of bed sores upon arriving into the defendant’s care. The logic is that any complication or advancement of the disease is the defendant’s and the defendant should pay for that. How Long Do I Have to Bring My Bed Sore Case? Generally, you have two years from the time that you were injured to bring your bed sore case to court. This you means that you must file your action before that time period ends. However, Illinois does have an exception if you reasonably do not discover that you have a case. In these circumstances, your two-year time window begins when you discover that you were injured and have a case or when you reasonably should have discovered that you had a case. For more information, see 735 Ill. Comp. Stat. 5/13-202 (2010); Del Bianco v. American Motorists Ins. Co., 73 Ill. App. 3d 743, 747 (Ill. App Ct. 1979). 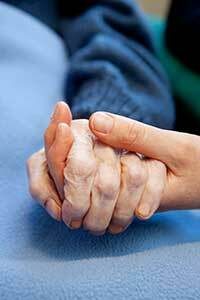 Nursing Home Law Center LLC is committed to helping families who have a loved one with a bed sore. Our attorneys have prosecuted hundred of claims and lawsuits related to the development of bed sores at a facility such as a nursing home, hospital or assisted living facility. When it comes to investigating and prosecuting these cases, our interest are completely aligned with yours as we handle these cases on a contingency fee basis where there is never a fee charged unless there is a recovery for you. We invite you to discuss your bed sore case with an experienced attorney without any cost or obligation. Contact our office here for a free consultation.